Misdemeanor charges are serious and should not be handled in court without the help of an experienced criminal defense attorney. If a crime is not a felony, it is usually considered a misdemeanor, and while it is true that misdemeanor charges carry less severe punishments than felonies, they may still result in significant, long-term consequences that require a strong defense. Popular culture may be partly to blame for many people’s casual attitude toward misdemeanors—it seems that every reality star and TV character has had a run in with the law. “Being charged with a misdemeanor isn’t such a big deal, right?” Wrong. In real life, any criminal conviction on your record is a very big deal, and misdemeanor charges should be taken seriously. If you have been charged with a misdemeanor in Charles County, please contact The Law Office of Hammad S. Matin, P.A. to schedule a free initial consultation with one of our experienced La Plata & Waldorf misdemeanor lawyers. A wide range of crimes fall under the misdemeanor label and may be punishable by large fines, jail time, or a combination of the two. Punishments for misdemeanor crimes can include incarceration in county jail and a fine or restitution. The amount of time a person is held depends on the crime committed and the degree in which the crime is classified—first or second. In addition, loss of certain privileges often follows a misdemeanor charge, including but not limited to loss of a driver’s license, loss of a professional license, loss of the ability to hold public office, and termination from public employment or government employment. Penalty convictions for misdemeanor crimes include community service, probation, severe fines, up to twelve months in a county jail, citations, and mandatory classes. So, you can see, being arrested for a misdemeanor in Maryland is nothing to take lightly. If you have been accused of a misdemeanor in Charles County circuit court or district court, we can help you navigate the courtroom as your case comes to trial. Do not simply chalk a misdemeanor up to a learning experience. The only lesson to learn is to call a lawyer if you’re facing any type of criminal charges. 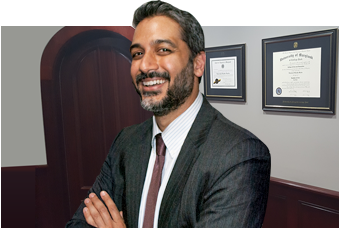 If you have been charged with a misdemeanor in Charles County, please contact The Law Office of Hammad S. Matin, P.A. to schedule a free initial consultation with one of our experienced criminal defense attorneys. Our La Plata & Waldorf misdemeanors lawyers will aggressively protect your rights and continued freedom, making sure a misdemeanor charge does not haunt you into the future. A clean criminal record is something to fight for, and we will help you do it.